Was doing a web search for an industrial style hose reel. Bing helpfully provided some related searches. Let’s play a little game, shall we? Happy 10th Birthday A Little Blog! Back on November 4th, 2002 I made my first blog post. Ten years later, it’s still going strong. Yes, my posting rhythm could, at best, be described as indiscriminate… but it is true that A Little Blog has been providing the net with mediocre content for a full decade. Given my unshakable dedication to drivel of questionable value published at random intervals, I know you’re as shocked as I am that the lame stream media isn’t joining with me to herald this momentous occasion. Have no fear! While the press has decided to ignore this event, the Internet is not. Accolades have been pouring in from all corners of the ‘net, from readers just like you! Well, perhaps not just like you. Probably not even remotely like you, unless you happen to be a spammer with only the most tenuous grasp of the English language. Praise from "white office desks hutch"
Thank you for making the sincere attempt to speak about this on http://www.little.org . I feel very strong about it and would like to read more. If it’s OK, as you achieve extra extensive wisdom, may you mind including extra articles similar to this one with additional info? It will be extraordinarily useful and helpful for me and my friends. Existential light bulb humor is always welcome too, this one comes from "cheap customizable basketball jerseys"
How many doctors should it choose to use twist inside a bulb? 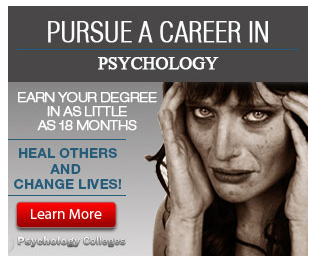 That relies in whether or not it features medical health insurance. Thanks for enabling me to get in mint condition belief about laptop systems. I as well possess the belief that one of the best ways to swear your laptop in perfect condition is by via a remorselessly synthetic defense, or else maybe case, that will tally greater than the highest of one’s computer. So, here’s to another decade of intermittent posts of questionable quality. For you spammers out there, please, keep commenting. I found about 1% of your comments 100% hilarious (but the spam filter lets 0% through to the normal regular readers, so you can count on privacy for your thoughts). Author Reeves LittlePosted on November 4, 2012 July 18, 2014 Categories Tech, WebTags Blogging, Internet, LifeLeave a comment on Happy 10th Birthday A Little Blog! 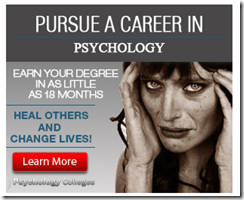 Pursue a degree in psychology, learn why pictures of unhappy people don’t really help you sell a product. Reacting to the celebrations over the death of Osama bin Laden, Jessica Dovey, a 24 year-old teacher in Japan, posted her thoughts to Facebook and followed her excellent words with a quote from MLK. As is often the case, the Internet then proceeded to get it wrong. But it also got it right. Returning hate for hate multiplies hate, adding deeper darkness to a night already devoid of starts. Darkness cannot drive out darkness: only light can do that. Hate cannot drive out hate: only love can do that. Through what were likely honest mistakes, Jessica’s original quote got mixed in with the MLK quote and the entire quote was misattributed to MLK. A fairly short cycle of denial, anger and acceptance quickly followed when fact checkers cried foul on the mis-quote then quickly ran down the original posting. The incorrect quote continued to be blindly repeated and retweeted until it sank into our collective consciousness, much like the Casablanca quote, "Play it again, Sam." Feeling it’s been duped, the Internet lashes out, redirecting the venom typically reserved for Rebecca Black and My Space into a childish attack on Jessica Dovey’s character. In a blow to my cynicism, the end result was fairly rational. The original posting was tracked down, people recognized the innocent mistake and a mature discussion ensued. Ah, Internet, you’ve made me proud by behaving like a grown-up. You can borrow the car keys for the dance on Friday.